This breathable and stylish kurta from all about you is a must-have item for any wardrobe. 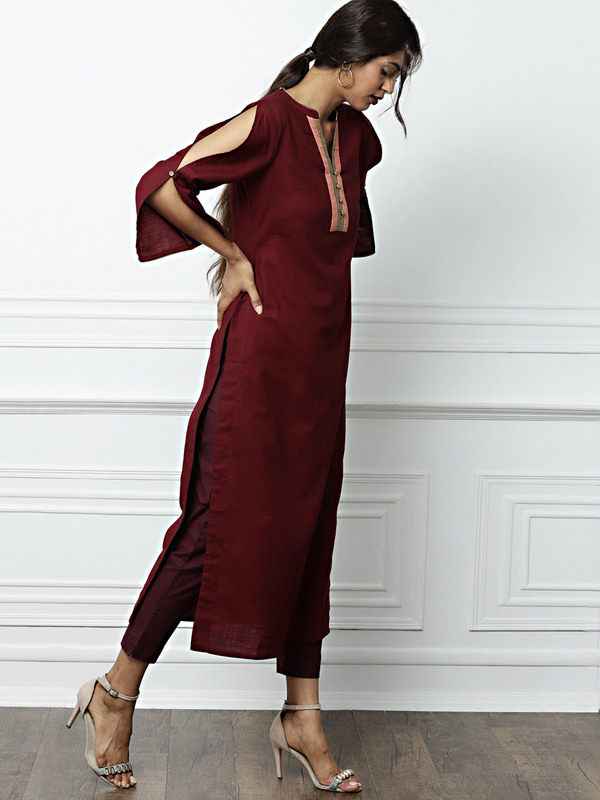 Sport this maroon piece with studded flats and minimal jewellery for a simple yet stunning evening ensemble. all about you is an elegant and feminine brand from Deepika Padukone. The spirit of the brand is to celebrate one's individuality. The product is a line of contemporary Indianwear inspired by traditional heritage, and age old crafts with a touch of romanticism along with a focus on delicate feminine details. Price shown is inclusive of duties, taxes and express freight. This delivery is not subject to standard freight.